Our HistoryView our full story. The mission of the Cresap Family Foundation is to further the philanthropic legacy of the Cresap Family by improving the quality of life of Oklahoman’s and beyond. The Foundation’s areas of emphasis are youth and families, health and wellness, education, arts and humanities and animal welfare. Funding preference will be given to organizations in those counties where Premium Beers operated, including, and without limitation, Oklahoma Canadian, Grady, Cleveland, Logan, Pottawatomie, Lincoln and the following counties on Northeast Oklahoma: Craig, Delaware, Mayes, Nowata, Osage, Ottawa and Washington. This is a strong preference but is not mandatory. The Cresap Family Foundation is managed by Foundation Management, Inc. Please contact Kari Blakley or Frank Merrick with any questions. to help the communities who supported their business for 44 years. 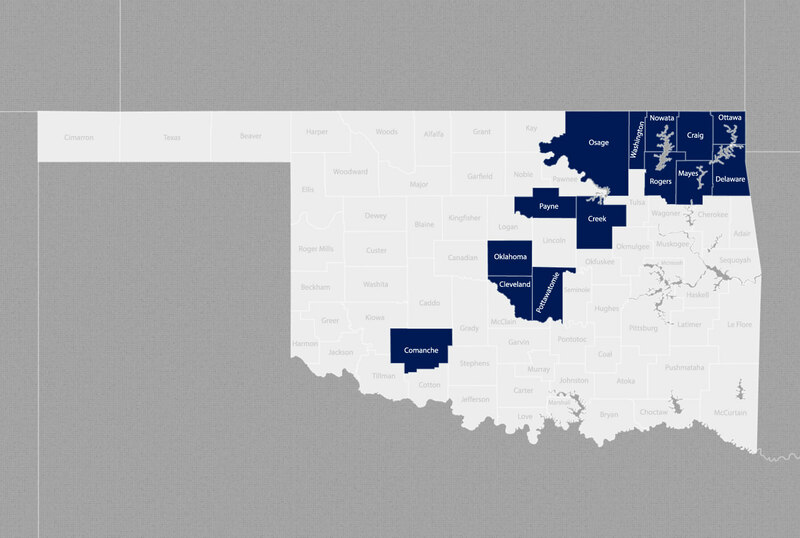 The counties highlighted blue have received funding form the Cresap Family Foundation. John Cresap was born in Oklahoma City, later moving to Pawhuska and Bartlesville, Oklahoma. 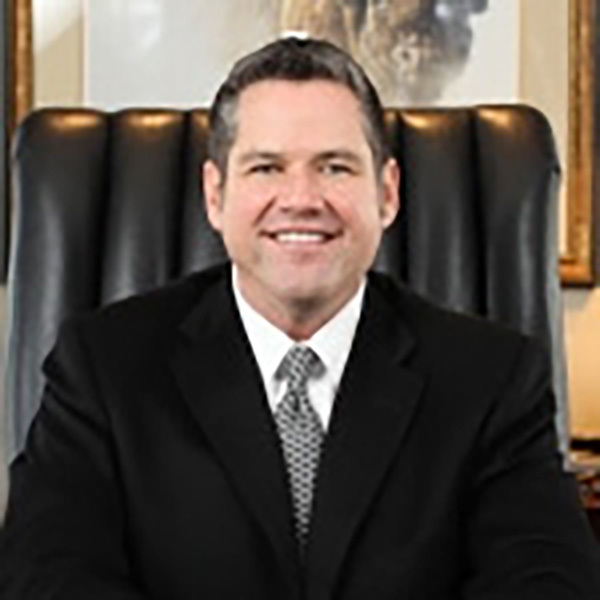 Currently, John serves as President and CEO of Cresap Capital where he is responsible for administering the overall direction of the services provided by his company. 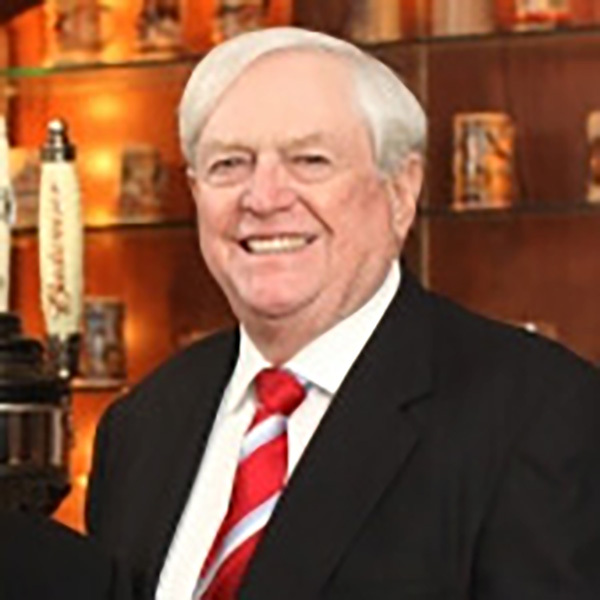 Prior to forming Cresap Capital, John was Owner and President of his family business, Premium Beers of Oklahoma, one of Anheuser-Busch’s largest wholesalers in the United States. John graduated with honors from the College of Santa Fe, where he received a Bachelors of Business Administration Degree. John has been involved in numerous civic organizations; serving as a board member of the Oklahoma State Chamber of Commerce, Oklahoma Grocers Association, the local chapter of the March of Dimes, Beer Distributors of America, Anheuser-Busch Advisory Panel and the National Beer Wholesalers Association. He is currently a member of the Young Presidents Organization and dedicates time to several local social organizations. An avid Oklahoma City Thunder and University of Oklahoma football fan; John also likes traveling, boating, scuba diving and spending quality time with family, friends and his animals. When given the opportunity, John enjoys visiting anywhere with a beautiful beach and an ice cold Bud Light. Denny Cresap was born and raised in Chicago, Illinois. After graduating from Morgan Park Military Academy, he attended the University of Oklahoma. Denny proudly served 3 years in the US Army where amajority of his enlisted time was spent in Frankfurt, Germany, ranked Sergeant 1st Class. Upon being discharged from the Army on January 12, 1959, he returned to Oklahoma. 1959 was the year Oklahoma voted for wet liquor stores, so Denny was employed by National Distillers and Chemical Corp and worked as State Manager of Oklahoma in Tulsa and Oklahoma City. He then owned and operated Denny Cresap Ford in Pawhuska, Oklahoma. In 1968, Denny purchased a small Anheuser Busch Distributorship in Bartlesville, OK with a territory of 2 1/2 counties. Denny was an owner in the family business, Premium Beers of Oklahoma, headquartered in Oklahoma City until the sale of the company in 2011. Denny is very generous with his free time, with past and present board activity including Phi Gamma Delta fraternity, Pawhuska Chamber of Commerce, Pawhuska Country Club, Beer Distributors of Oklahoma, Anheuser-Busch Wholesalers Advisory Panel and was the Commodore at Grand Lake’s Cherokee Yacht Club. Denny enjoys traveling, boating and expanding his collection of bronzes and art. He also enjoys visiting 7 Mile Beach in the Grand Cayman Islands with his wife, Gail, and many friends. Gail Cresap was born and raised in Vinita, Oklahoma. After graduating from Vinita High School, Gail moved to Fulton, Missouri, where she attended William Woods College for Women. Gail worked with Denny to operate Denny Cresap Ford in Pawhuska, OK for five years. 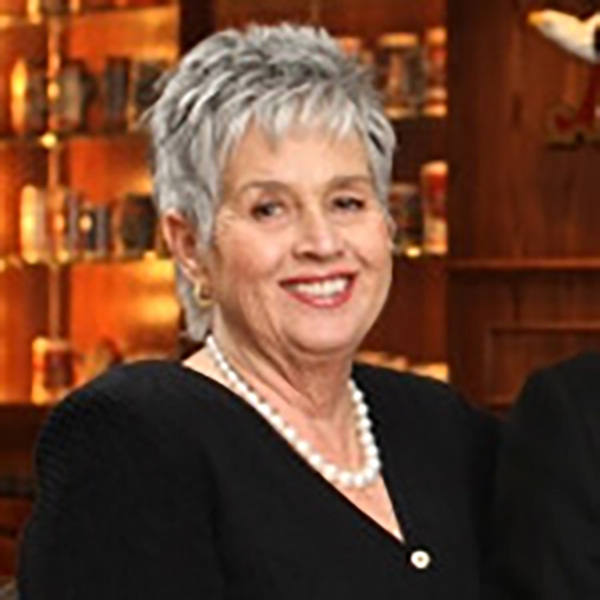 She also worked in Bartlesville for their Budweiser company, managing the office and warehouse for the first 10 years. From 1994-2004, Gail owned Grand Lake Alpacas, located at Grand Lake, OK. She raised and showed alpacas all over the United States, winning many blue ribbons and national awards. Gail is highly involved in civic organizations, such as the Oklahoma Cattlemen’s Association, Turtle Creek Association, American Quarter Horse Association, Alpaca Owners and Breeders Association and the Ranching Heritage Association. She is passionate about animal rights and will do anything to ensure that they receive fair treatment and have adequate shelter. In her spare time, Gail enjoys water sports, walks in the woods with her dog, traveling to offbeat places and reading. Today, Gail is busy managing a cow/calf operation at Big Creek Ranch. She also enjoys winters on 7 Mile Beach in the Grand Cayman Islands. Gail has learned a great deal and continues to be a positive influence for others, but the greatest life lesson that she has learned is that “Time Waits For No Man”. Gail always keeps these words in mind and lives accordingly.